We all now that Nokia 9 PureView is expected to launch next month, and now what appears to be the legitimate promotional video has apparently leaked out. MySmartPrice has posted an intro video of an unreleased Nokia 9 PureView and in the process, it confirmed a few details of the device. On the outside, Nokia 9 PureView appears to look exactly the same as seen in various leaked images. It has a large, notch-less 5.99-inch QHD (2K) display with an 18:9 aspect ratio and HDR10 support. Then there is an in-display fingerprint scanner, making HMD Global’s first smartphone to feature the next-generation of the biometric system. Under the hood, the handset will be powered by the Snapdragon 845 processor instead of the latest generation Snapdragon 855. Other specifications of the Nokia 9 PureView are as follows: 6GB RAM, 128GB of internal memory, and wireless charging support. This will be an Android One-branded device and features Android 9.0 out-of-the-box. What appears to be Nokia 9 PureView’s biggest strength is its camera. At the phone’s rear will be a massive penta-lens camera setup. This will be the first smartphone in the world to feature five cameras on the back. 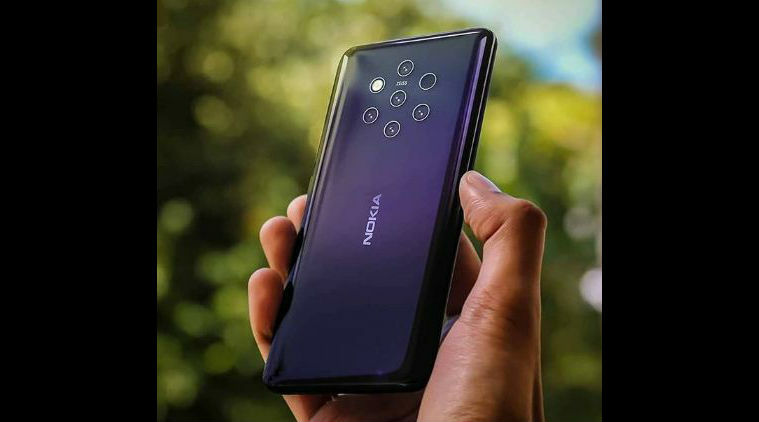 As seen in the leaked video, one can clearly see five Zeiss-branded cameras on the back of the Nokia 9. Unfortunately, the real purpose of having five lenses is still unclear. Meanwhile, the video shows that users will be able to capture portrait mode shots with adjustable bokeh. Interestingly, Nokia 9 PureView will come with some special night mode and the video claims 10x more light captured compared to the standard smartphone. Plus, the phone will also allow you to take an image with all the cameras at the same time. Nokia 9 PureView has been in the making for a few years. The premium smartphone was supposed to launch months ago but the company reportedly pushed it back. Unnamed sources close to Nokia Anew claim that HMD Global plans to launch the Nokia 9 PureView towards the end of January 2019. Of course, nothing has been confirmed at the moment. Hopefully, we will learn more about the Nokia 9 PureView in the coming days.